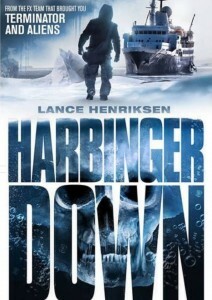 So with Harbinger Down all set to release, did Gillis ultimately make good on his promise? This question has a two-sided answer but, being a patsy for these kinds of films, the pros far outweigh the cons. Creature-feature fans will have an absolute field day with this I’m sure although those looking for a sui generis sci-fi film with a bit more to chew on might feel a little short-changed. With Gillis at the helm there was never a doubt that the effects team on board the Harbinger would deliver the goods in the creature department but unfortunately the script doesn’t manage to ride the wave quite as capably as the special effects. 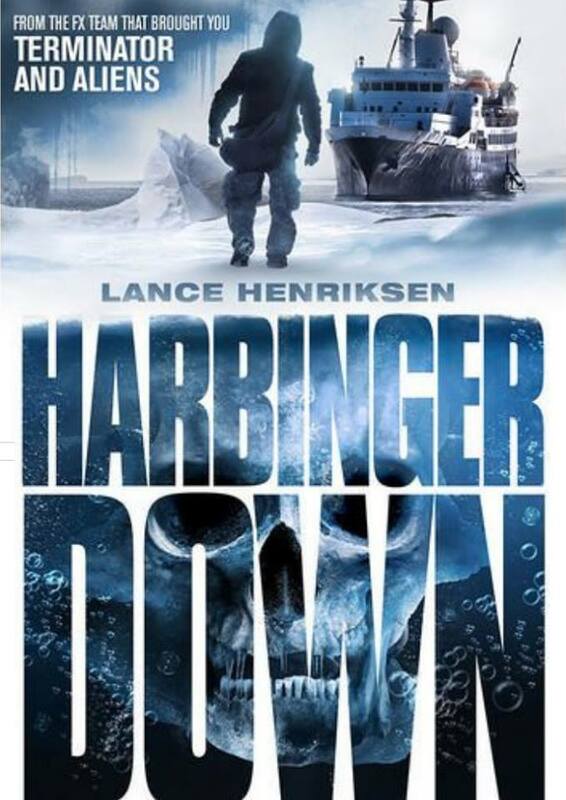 Harbinger Down certainly owes a lot to classic horror movies in terms of plot and pacing and whilst a few deviceful twists and turns are to be found, the film tends to trip over itself with over-excessive genuflection to cult creature classics like The Thing and Alien. Nonetheless, this is a film that was clearly made to nourish fans’ pangs for practical creature-features and that it does in leaps and bounds. The two leads, Lance Henriksen and Camille Balsamo, obviously have fun with their roles and positively flatter Gillis’ script, regardless of all the homage galore to cult classics. Whilst Henriksen’s stalwart Captain Graff character and Balsamo, as his seemingly docile granddaughter Sadie are both profound and appealing, the supporting cast put in legit performances yet never quite measure up to the protagonists which results in a somewhat inconsistent, lopsided affair. None of the supporting cast was bad by any means but I found myself constantly anticipating scenes featuring more of Henriksen and Balsamo. Grumbles aside, this crabbing boat thrill-ride still manages to shake the audience up with plenty of shocks and eye-opening creature effects thanks to Gillis’ keen eye for detail. So talented is this man and his effects team that the jolts keep coming even when we get up amazingly close and personal with the effects in all their monstrous magnificence. The only niggle I found to this regard was that Gillis’ mastery of putting the fear of God into us was hampered by Benjamin L. Brown’s almost found-footage style cinematography that oftentimes came into play. This may have been a conscious decision to keep the audience feeling as frantic as the cast or as a strategy to help “distort” or “conceal” the look of the creatures somewhat but I would have much preferred less full frontal shots of the creatures in exchange for steadier camerawork. One enormously redeeming factor though is how the film perfectly replicates the desolate, icy tundra thanks to the miniature photography magic of Oscar-nominated model builders Pat McClung and Robert and Dennis Skotak. Their recreation of the sheer fear of being all alone on this ship really immerses the viewer even though it was shot entirely in a studio. This feeling is enhanced all the more by the talented Christopher Drake (Tusk, Tales of Halloween) whose score rivals the best of his film and videogame music to date, perfectly ramping up the feeling of isolation, claustrophobia and fear in each moment of the film. So whilst Harbinger Down might not be a game-changer it unquestionably reaffirms the fact that the use of practical creature effects isn’t dead by a long shot and is so much more capable of inducing spine-chilling fear than pretty much any CGI effects used today. Gillis has a few more scripts up his sleeve and he recently assured me that his next endeavor will be a whole different kettle of fish. Armed with the right script and ironing out a few creases that are sadly a little too apparent in Harbinger Down, I’ll be first in line to see where he goes from here.